Let’s face it; cleaning is not necessarily fun. But we all have to do it, and I have found that special cleaning products (Caldrea is my favorite) and luxurious cleaning tools make all of the difference. Soft textures and appealing scents can take your task to the next level. Something else I have discovered helps move along the dreaded task of cleaning (or any task, really) is trying something new. Here are some cleaning hacks that might make things a little more interesting. Spray-on cleaning products can discolor your walls. Instead, use a white, non-gel toothpaste that contains baking soda. Apply with a clean toothbrush, scrub gently, then wipe clean with a damp cloth. The baking soda acts as a fine abrasive to rub away wax without leaving a tint. When you don’t have (or know) the right stain solution, shaving cream can be your pinch hitter. Shaving cream, which is essentially whipped soap, has lather that can penetrate nearly any stain and lift it to the surface. Apply a dollop of standard white shaving cream, like Barbasol Original (not gel), to a clean cloth. Dab on to the spot and let sit for 30 minutes. Blot with a clean, damp cloth. If any stain remains, reapply and let sit overnight. Note: Be sure to test a small inconspicuous area first. 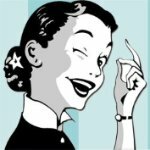 It is easy to ignore lampshades, speakers, and the insides of drawers because it is tough to get them clean with regular dusting techniques. With its strong adhesive, packing tape can grab dirt from fabric, crevices and tight spaces. Simply press a stretch of tape onto the surface, then pull it back to pick up the grime. 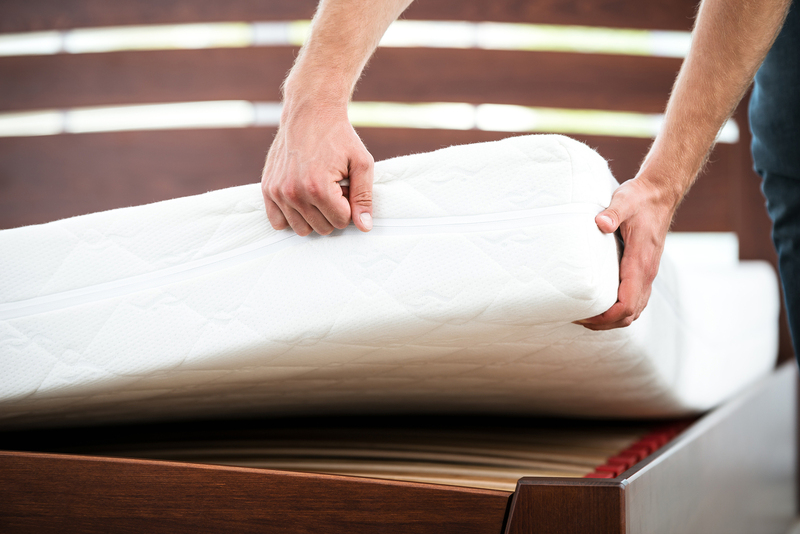 Mattress upkeep is overlooked more often than you would think. (FYI: Professionals recommend cleaning your mattress quarterly.) Vodka is an odorless disinfectant that evaporates quickly, so you won’t have to do a deep cleaning. Use a vodka-filled spray bottle; spritz the mattress and pillows when changing the sheets. Easy! With vacuuming, hair and fur weaves its way into rug fibers and can get tangled in the brush roll. Edged with rubber, a squeegee glides along a rug smoothly, creating static electricity that draws hair and fur away from carpet. Run a dry squeegee across the rug in overlapping rows. Collect clumps as they form and discard. The blender’s sharp blades and ridge interior can be tricky – and dangerous – clean. Fill the blender halfway with water, add a few drops of dish soap, and run the blender on low for 10 seconds. Wipe down with the soapy water and a sponge, then rinse. Cleaning floors and baseboards with a rag and the standard hands-and-knees method can take its toll on you physically. Legs are typically stronger than arms; the added force speeds up the process. Using a formula of equal parts water and white vinegar, spritz the bottom of a pair of thick, absorbent socks, then put them on. Glide one foot across the baseboards, spritz again then slide around the floor to pick up dust, starting with the furthest corner and working toward the entrance. When you are finished, toss the socks in the laundry. A newspaper lining absorbs trash-bag leaks so you don’t have to wash the bin as often. Place old newspapers at the bottom of your trash bin with a plastic bag underneath, to keep the paper from sticking to the can. Discard it all when you discard the trash. Even if you put the containers in the dishwasher, you can never get them fully, good-as-new clean. The sun’s rays are like a natural bleach, eliminating most stains. After washing the containers in the sink with dish soap and warm water, place them on a clean tea towel in the sunlight. Let sit for eight hours. Rinse and dry. Traditional formulas work for a bit, but this solution’s polymer coats the surface for six months, keeping it slick so nothing sticks to it. Clean the toilet bowl to remove existing stains and back the water out. Dry the interior with a cotton cloth and use a separate cloth to apply the protectant. (I like 3M Performance Finish Synthetic Wax from Amazon.) Let sit for 10 minutes then return water to the bowl.